I am standing on the top of a hill in Kutupalong, Bangladesh from where I can see several hills in front of me covered with small bamboo and tarpaulin huts – home to more than 700,000 Rohingya refugees. 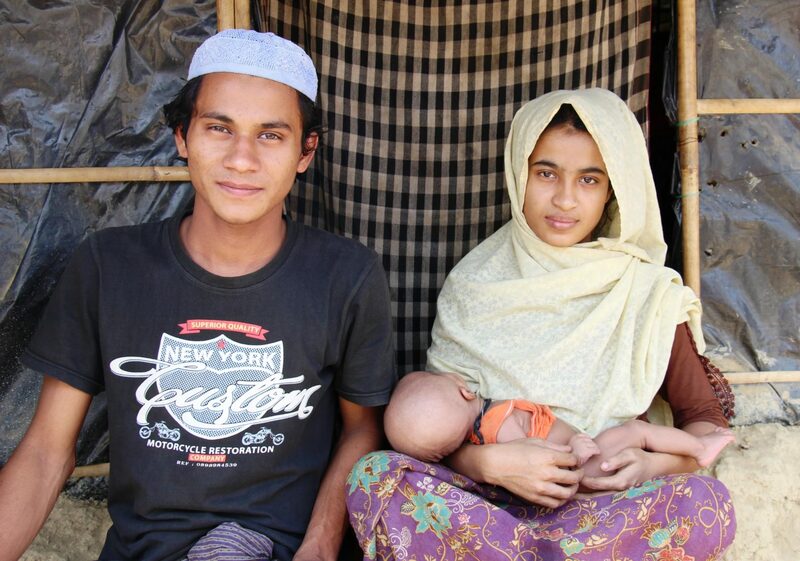 In August 2017 the Rohingya fled their homeland in Myanmar’s northern Rakhine state due to violent attacks: refugees have shared with us how men were killed, women were raped, and babies were thrown into fires that burnt their homes to the ground. Now in Bangladesh, they have made makeshift homes with the help of donations from generous Bangladeshis, the Bangladesh government, and a wide range of UN agencies and NGOs. I have come to the refugee camp to open Medair’s very first C-MAMI clinic. C-MAMI stands for ‘community-based management of at-risk mothers and infants.’ Up to now, Medair has run only CMAM (community-based management of acute malnutrition) projects in many of its country programmes. CMAM programming has been around for several years, and most countries with high levels of acute malnutrition have national guidelines for government clinics and NGOs on how to implement these programmes. One big gap, however, has been the management of malnourished infants from birth to 6 months of age. CMAM guidelines only have the option to treat these infants on an in-patient basis, such as a hospital, where they receive a milk-based treatment and mothers receive breastfeeding counseling. However, in-patient treatment requires a lot of resources—staffing, equipment, medicines, and medical supplies – that may not be available in all crisis contexts. It also takes mothers away from their homes where they possibly have other children to care for and need to perform household and livelihood tasks for their families. A few years ago a tool was developed by a collaborative of NGOs and the London School of Hygiene and Tropical Medicine to help NGOs like Medair who needed an out-patient option to treat infants of up to 6 months of age. 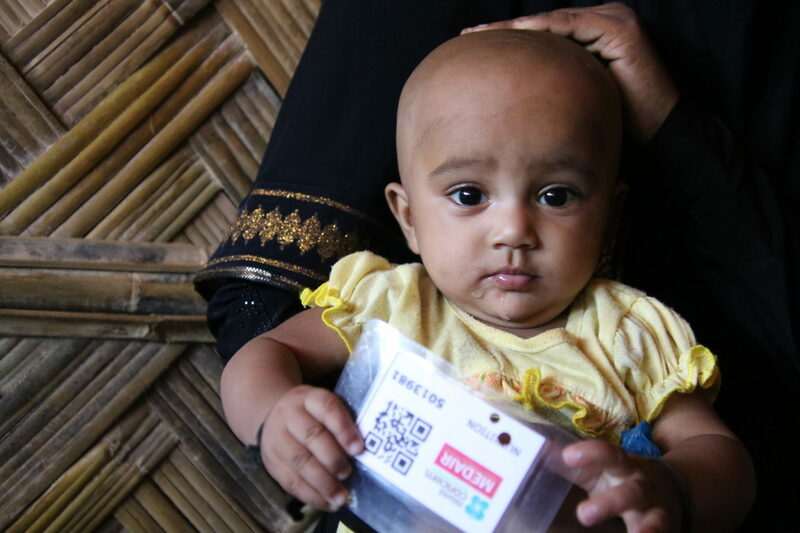 Armed with this tool, and with my background as a lactation consultant (specialised in breastfeeding counselling), I came to Bangladesh to start a C-MAMI programme as an extension to our already existing nutrition clinics in the Rohingya refugee camp. After months of preparation I am finally getting started. As I arrive to the nutrition clinic, women are waiting outside with their babies. They have come for their bi-weekly check-up where we check their mid-upper arm circumference (MUAC), a good and simple method to measure acute malnutrition in both children (age 6-59 months) and pregnant and lactating women. Now for the first time we will screen the mother and infant together and assess whether as a pair they have malnutrition or are at risk of becoming malnourished. One week after opening our doors, we have enrolled 13 mother-infant pairs for treatment, and have screened 19 others. We will continue to follow them with home visits and weekly check-ups at our clinic. Mothers receive individual breastfeeding counselling and we refer them to health facilities in the event of medical complications or maternal mental health care. 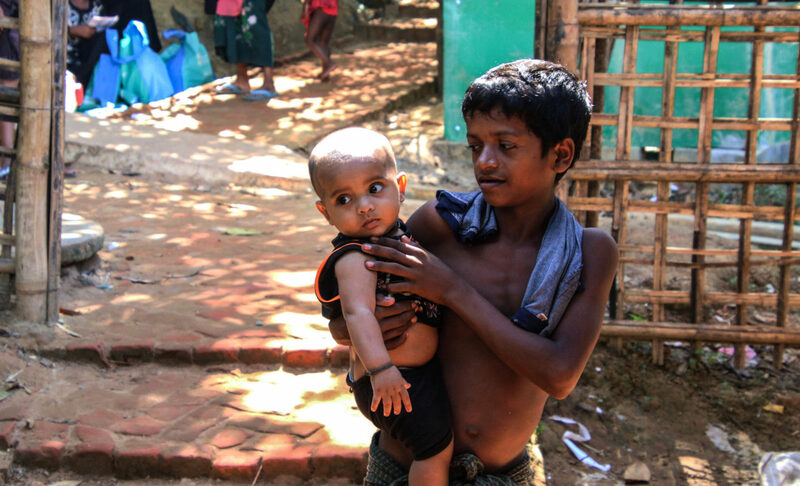 By opening such the C-MAMI clinic, we are addressing a huge gap for the Rohingya refugee families. This is also an opportunity for Medair to gather data on how best to meet the needs of vulnerable infants and their mothers, important information that will be shared with the wider humanitarian community involved in nutrition programming. I am looking forward to the next few months as we develop the C-MAMI programme further, working to reach more mothers with the tools they need to best take care of their little ones! Medair is working in Bangladesh with its Integral Alliance partner World Concern. Follow @MedairAsia on Twitter for regular updates.